Contact a practitioner directly to discuss your ideas and check their qualifications, status and availability against your requirements. 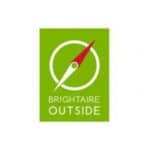 BrightAire Outside is the work of Clive Nutton. 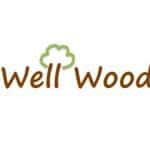 He has over 20 years’ experience as a teacher, mountain skills and Forest School practitioner. Clive enjoys participant-led activity, P4C, restorative practice and playful, adventurous projects with all ages – running Forest School programmes, outdoor learning and celebration events developing spaces for outdoor learning running curriculum-linked outdoor activities using outdoor activity for nurture and personal development supporting outdoor learning in existing settings mountain skills and expeditions Clive is based in the Leeds-Bradford area but also works further afield. He is a member of the Forest School and Mountain Training Associations. 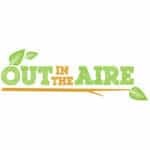 For the past 15 years Charlie has been studying and sharing her passion for the great outdoors to re-connect people to nature. 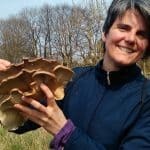 She has conducted research in migrant communities in Bradford and co-founded a number of social enterprises here, linking people back to food systems and the environment they are part of. She offers food growing, foraging and outdoor cooking as part of her work with children and their families, asylum seekers and refugees and local communities. She also offers courses to those seeking specialist knowledge, such as Plant ID, forest gardening and permaculture. She is co-founder, Director and Community and Training Coordinator at Horton Community Farm Co-operative. It is a LAND Permaculture Centre (part of the national Permaculture Learning Network & Demonstration centres). 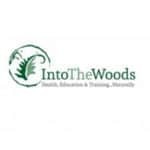 She is a fully qualified Level 3 Forest School Practitioner and offers Forest Schools, Horticultural Therapy and Outdoor Learning. She also works freelance for Grow Bradford and Get Out More and teaches at the Yorkshire Agricultural Society. She has designed a number of garden and outdoor spaces for nursery and primary age children as well as community settings and run clubs which include forest school, outdoor learning and play and food growing activities. Chris Calveley has 15 year’s experience working in secondary education. He has a wide range of experience (award winner) working in the outdoors with children of all ages and community groups, as a Teacher, Archaeologist, Duke of Edinburgh Leader & Assessor and Forest School Practitioner. GoWild Outdoors aims to reach out to people, to encourage them to be more active and experience the outdoors. They offer educational and recreational experience to both children and adults, giving them the opportunity to succeed, develop confidence and self-esteem through hands-on learning experiences in the outdoors. 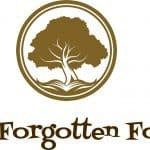 Talk to us about: Forest Adventure Parties – School Sessions in all subject areas including curriculum specific programmes, other school projects i.e. Gardening - School Holiday Clubs - Team Building & Problem Solving – Learning, Play, Exploration, Nature & Conservation – Corporate Events – Available for Events & Shows - Duke of Edinburgh Assessor & Expedition Skills and member of the Forest School & Mountain Training Associations. Based in the Leeds-Bradford-North Yorkshire areas, but is mobile to other areas. 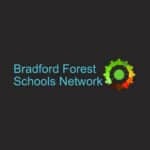 Forest Schooling since 2008 and with over twenty years’ experience working in education, from Primary through to Masters level, we offer a wide range of programmes designed to get people of all ages, abilities and social circumstances into the woods. Talk to us about… • Forest Schools • Social forestry • Outdoor curriculum • Disability forest schools • Forest schools for young adults • Forest schools for the sensory impaired • Teacher training • Health and social care professionals training • Creative projects • Nature therapy We are strongly driven by a desire to create wellbeing, intrinsic motivation and high levels of self-esteem, through nature based and creative activities. Ruth is enthusiastic, hard working, fun-loving, well organised and a natural communicator. She has a passion for the outdoors, the natural environment, sustainability and one-world living and is keen to share and develop this enthusiasm in others. Ruth has developed her life-long interest in the outdoors to become a Forest School Leader and Outdoor Learning Practitioner. She has a passion for children learning in a natural environment and outside the classroom. 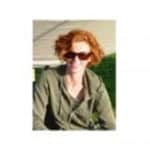 In addition to her training and experience as a Forest School Leader and Outdoor Learning Practitioner, Ruth has over 10 years experience in engineering consultancy where she worked as a geologist and project manager. She brings this breadth of skills to offer a range of activities including: running Forest School programmes developing spaces for outdoor learning including gardening, mud kitchens and for Forest School running gardening clubs, willow tunnels, tree- and bulb-planting days etc. delivering outdoor learning activities e.g. one-off celebration days, curriculum-linked or themed activities introducing Forest Schools into settings and supporting their sustainable development.